The Vamp four is an all-purpose four channel valve instrument line pre-amplifier/direct input device that has a multitude of uses in either a live or recording situation. When using the VAMP four as a front end , the sound is full , rich and can be of high harmonic content of which the amount can be completely varied by the appropriate controls.Nasty peaks are smoothed out without the loss of top register frequencies and the lower frequencies sound tight and wide. Instruments such as bass or guitar sound like they have an organic glow that tames transients and glues the bottom end for a solid musical foundation. Synthesizers and keyboards like Fender Rhodes can be driven into subtle distortion that can loosely resemble tape saturation or a powered amp and speaker. Drum machines or live drums tracks can be sculpted to crunch and pump.With the right pad/gain settings and EQ the VAMP four can take any signal and turn it into a musical delicacy with heaps of character . The same can also be said of the VAMP four when it’s used as an audio processor for pre-recorded tracks or as a mastering device. Digitally recorded tracks fed through the VAMP four seem to sparkle with presence compared to their un-treated counterparts. Signals sound more focused and can be either polished with clarity or driven with some subtle distortion or colour. Features include high impedance input ,variable gain/pad control , two band switched passive EQ , variable output level and an electronically fully balanced buffer that feeds an XLR balanced output and a 6.5mm TRS balanced output that can be used un-balanced as well. All signal path circuitry is Class A discrete and the only integrated circuits or chips involved are in the LED driver circuit. Unlike cheap designs , the valves are run on a proper High Tension voltage rail with a filtered DC filament. 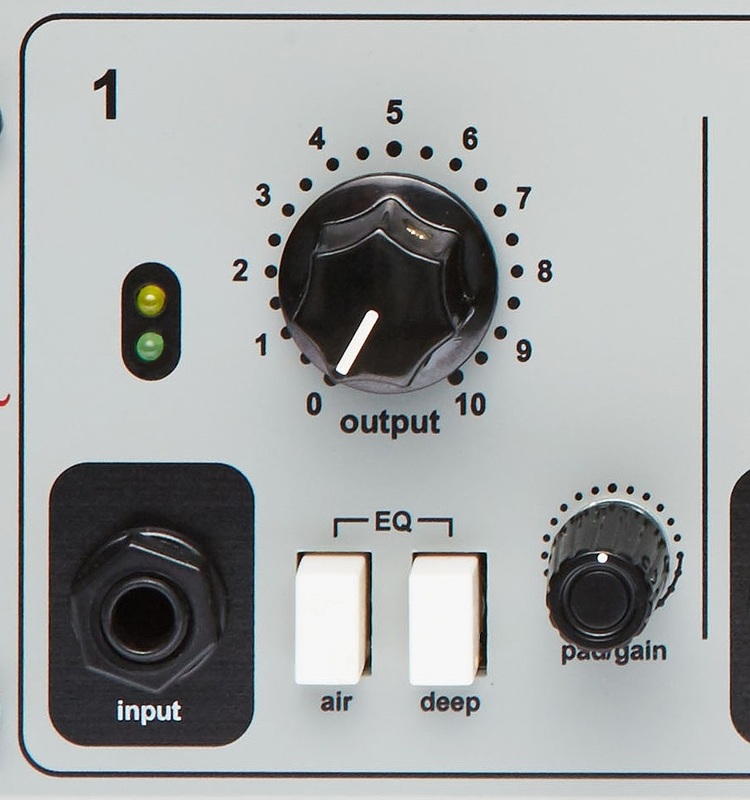 The circuit is based on the Sebatron designs of AXIS and VMP series preamps.